8 Stunning Wedding Hairstyles with Flowers | Wedding Ideas ARE YOU A VENDOR? Want to bring your wedding look to the next level? Why not embrace your inner boho babe and try a wedding hairstyle with flowers. 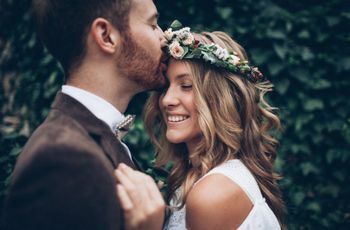 No, you don’t have to go all-out and rock a flower crown to pack a punch, a simple bloom or two can have quite the impact. 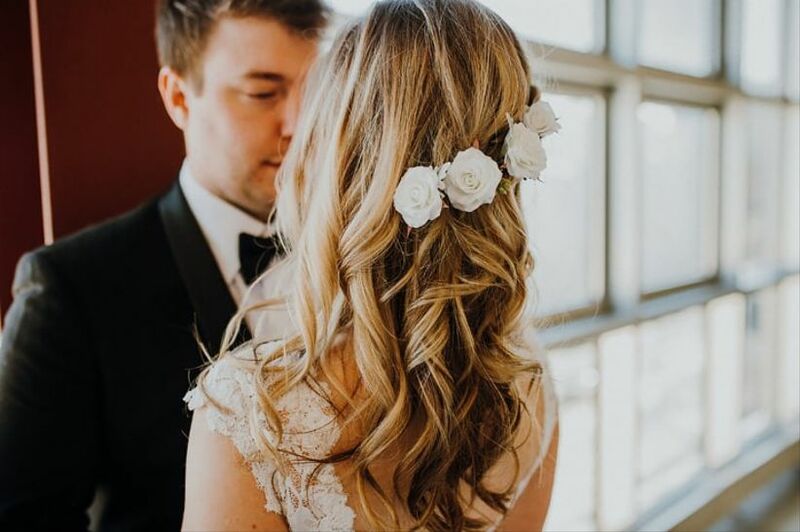 We’ve compiled a list of our favourite floral hair looks from Instagram to inspire you on your quest to for the perfect wedding ’do. 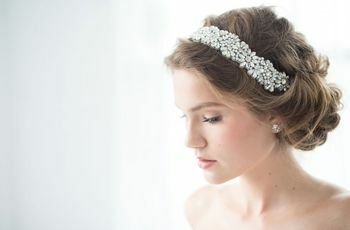 Here are a few of our favourite wedding hairstyles with flowers. While flower crowns and elaborate hair vines are amazing, sometimes all you need is a tiny bloom or two. Take inspo from this braided down ‘do that features a few pint-sized pieces of baby’s breath and greenery. 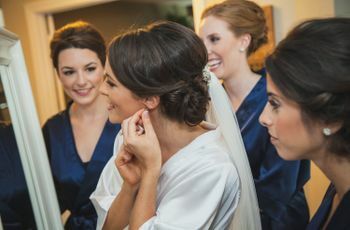 Yes, it’s pretty minimalistic, but this wedding hairstyle with flowers sure looks stunning. Guess what? Your wedding hair flowers don’t actually have to be real to look beautiful. 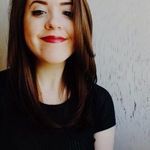 Etsy shop Connie and Luna crafts gorgeous pieces inspired by wildflowers that’ll last you a lifetime. 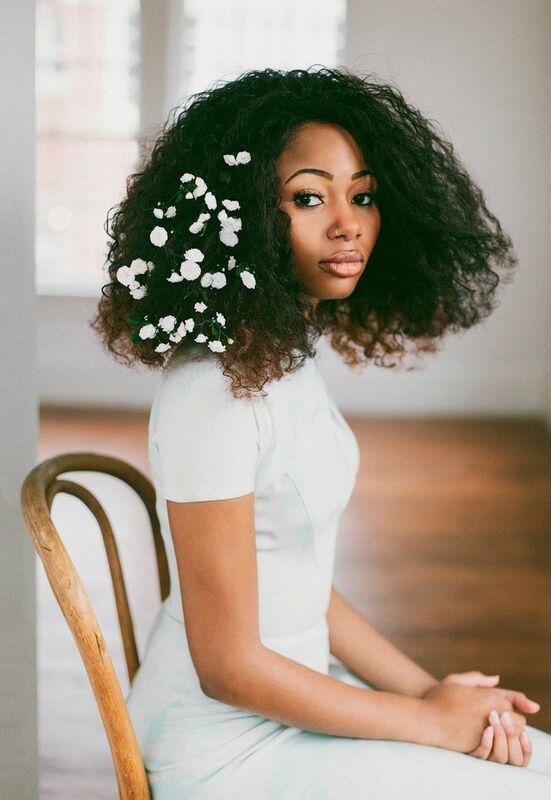 While her array of crowns are pretty awe-inspiring, we love the look of this waterfall of flowers on simply styled hair. Bonus: you may even be able to DIY this look without the help of a stylist. Feeling bold? Why not craft your hair into a bouquet with an array of different flowers. Pick some of your favourite blooms from your bridal bouquet and add them to your locks for some added interest. This can be done to both updos and down dos, so feel free to play around. Petals are the perfect accessory to curls. If you’re sporting a down ‘do on your big day, consider weaving a few ivory flowers into your locks to jazz up your bridal look. Want even more of a statement look? Try playing around with different tones and hues or add in a few more blooms for good measure. Have you recently taken the plunge and dyed your hair a pastel shade? Use your freshly coloured ‘do as your inspiration for a wedding hairstyle with flowers. Follow this lady’s lead and add in a few blooms that match the shade of your locks and tie it all together in a messy updo for a look that’s out of this world. Have you ever seen a more aesthetically pleasing bun? Probably not. Seriously, this is #hairgoals in a photo. Bigger doesn’t always mean better! If you want the focus to be more on your ‘do than the flowers that accent it, try something like this. 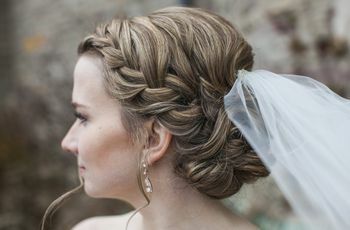 The elaborate braided updo is emphasized, not overshadowed, by the tiny blooms and greenery creating the perfect balance. What’s a list of floral hairdos without a flower crown or two? If you really love flowers, embrace your inner elven princess and rock a halo of blooms. Remember to pick flora and fauna that compliments your bridal bouquet, this is quite the statement look and you don’t want the two arrangements to clash. If you don’t want your flower crown to steal the spotlight from your face, opt for one that can only be seen when you turn around. It’s waaaaay better than a mullet, but it still has that “business in the front, party in the back” effect.